The Dallas Flea returns September 15 for its popular Fall show featuring art, furniture, home décor, fashion, jewelry, food, and more from Texas creatives and companies. Founded in 2009, the quarterly event showcases a curated mix of handmade, vintage, and one-of-a-kind goods. Today, The Dallas Flea is a top opportunity for local shoppers to support artists and entrepreneurs in their own backyard. 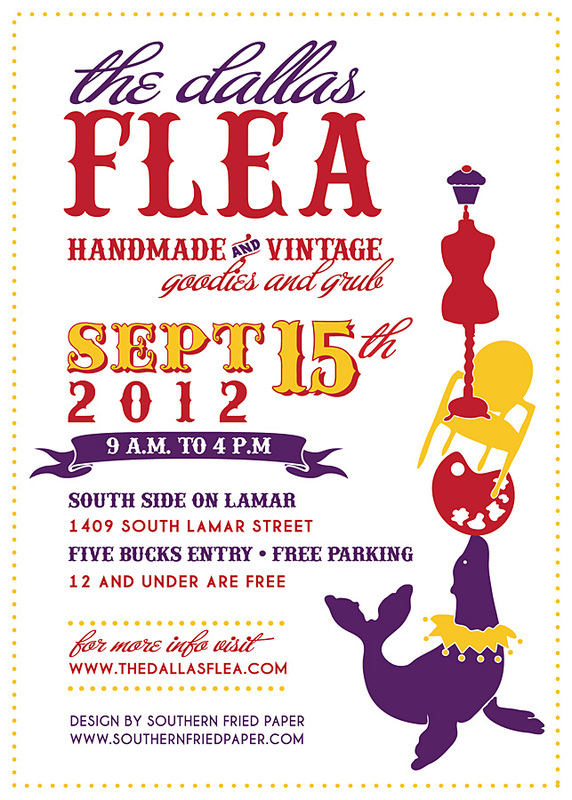 The Dallas Flea is a one-day indoor marketplace with a wide range of booths for varying ages, gender, and tastes. Founder Brittany Cobb, a Dallas-based freelance writer and editor, created the show to offer unique finds and crafts from grassroots artists and companies from Austin to Tyler. With an average of 75 booths per show, the market is ever changing and adapts to each season. For the September event, expect clothing and jewelry for back-to-school season as well as several new vendors including Happy Cactus (eye-popping stationery and papergoods) Blue Bee Clothing Company (children’s threads and headgear made from upcycled rocker tees), Dixie Goods (mod dog collars), and Rust Magnet (think vintage chairs to antler wall hangings). This market will also offer live music and the biggest group of mobile vendors to date including Austin-based clothing shop Southern Hippie and The Urban Cottage, an airstream full of refurnished furniture. Entry is $5 (children 12 or under free). Free parking.